Kinnitty Castle Hotel is close to the picturesque village of Kinnitty, set beautifully against a backdrop of the Slieve Bloom Mountains and is in Irelands only designated Environment Park. The Castle has a long and turbulent history. Dating originally from 1209 the Castle was destroyed and rebuilt not once but twice and yet it retains character and oozes charm. The castle even has its own ghost, a monk no less! The Hotel is located in Kinnitty. 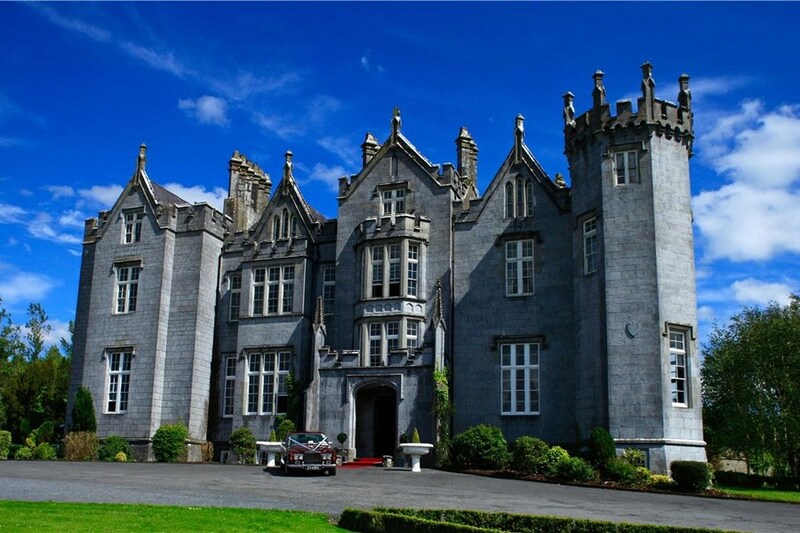 Kinnitty Castle Hotel is a gothic revival Castle located at the foothills of the Slieve Bloom Mountains in County Offaly, in the heart of Ireland. The Castle has had a long and turbulent history. The first Castle at Kinnitty was destroyed in 1209 and was later rebuilt by the Norman's in 1213. Later the Normans were driven out by the powerful Gaelic clan, the O Carrolls of Ely. great place and value for money with the right website. staff were great and rooms were as you'd expect for the location, ancient. enjoyed the stay tremendously and would go again. monk was on a go slow when I stayed by the way, cut backs everywhere. again if you want the castle feeling by all means go. an experience I will try again. o by the way the food was great but expensive as expected. try the bar food if not on a romantic break like my self, looked good. again staff friendly and chatty. This is an old Castle and the decor reflects that, old world, rustic, rooms are a good size, staff were very friendly and helpful, food was very good, very relaxed atmosphere in lovely surroundings, had a very enjoyable stay. Kelly family wexford we stayed for two nights 30th, 31st mar 2014.Thoroughly enjoyed our stay, staff are major asset to the castle. Decor does need some attention but does not take away from the experience of staying in the castle.We will definitely be staying again. I am really sorry to say that I was very disappointed with Kinnitty Castle when I stayed there a few weeks ago. To be honest I found the Castle extremely dirty:some of the carpets looked like they hadn't been cleaned since medieval times, some of the cabinets along the walk ways were falling asunder, there were broken panes of glass in door throughout and then there were piles of toilet rolls stuffed into corners etc etc. When we arrived there were glasses strewn around the front of the hotel that were left by wedding guests the day before and they were still there when we left a day later! The bed was extremely uncomfortable and in our room (Inchquinn) there was an awful smell of fuel! Whilst the courtyard was very picturesque the front of the castle looked grim at best and when you looked around you could see that several windows were boarded up etc. We took a wander around and the banquet hall smelled of damp and must and was covered in a layer of dust. Really and truly I thought the place needed a good scrub and a massive injection of funds. I had originally booked two stays at the hotel but after the first visit I cancelled the other stay. I am truly sorry but even if you paid me I wouldn't stay there again! Im sorry to say that I was really disappointed with Kinnitty Castle. Whilst the hotel has the potential to be a really unique, and in fact has some really beautiful areas (the Courtyard) my overwhelming impression was that it was filthy. There were doorways with broken glass, furniture that was positively disintegrating, carpets and rugs that looked like they hadn't been hoovered in hundreds of years, reams of toilet paper left in corners, glasses strewn around the place (there were some on the ground in front of the hotel when we arrived and they were still there when we left). And to top it off the bed was really uncomfortable and the room smelled of oil or some sort of fuel which I can only presume was related to the heating system. I think its safe to say that I won't be back. We were upgraded to a suite as there was a wedding on that evening. Stunning room, great food and an unbelievable rate through this site. We left thoroughly pleased and would definitely return to this hotel. Couldn't fault it for anything. From the staff,the food and the room it was all amazing. Will definitely be going back but for longer this time. Hotel was lovely, staff were exceptionally nice and friendly, highly recommend a stay there. A very enjoyable stay here for a birthday gathering of my family. The staff could not be faulted. Very helpful and friendly. Unfortunately the dust was thick in our bedroom and not just a day or two old either. Very pleasant stay but just lacking attention to detail in basic housekeeping. The menu read well but was maybe not executed to its fullest standard. Hotel was ok . Should be a 3 star rating though . Room needs some serious overhauling furniture and fixings . Breakfast as expected . Woken every morning just after 6 am by delivery drivers reversing horns . Staff pleasant enough . couldn't have been better, from the staff to the food all set in such a beautiful location! can't wait to go back! This was our first time staying here but it wont be our last. From the time we drove up the avenue til the time we left there were nothing but memorable moments. 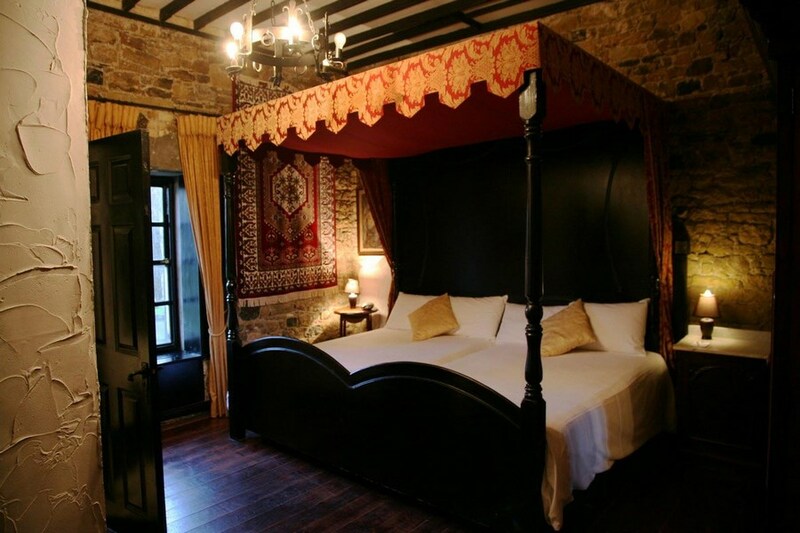 The medieval atmosphere, the exquisite food and drink, spacious and comfortable cosy bedroom and most importantly the friendly and accommodating staff all added to a memorable and unique experience. Husbands get booking. You will be in credit with the wife for ages!!!! We enjoyed our stay very much. Accommodation was beautiful, The food excellent. The staff were very friendly and helpful. Enjoyed the forest walks behind the castle. Loved the open fire in the Library bar. Kinnity Castle actually exceeded my expectations!!! Spent one night there, which was actually too short but so enjoyable. The rooms were quaint and quirky, with so many nooks and interesting features. The meal we had in the resturant was excellent. Each member of staff could not have been nicer. The Dungeon Bar provided super entertainment with a really young talented trad group. Breakfast the following morning was so tasty and again the staff could'nt do enough for us. After a really enjoyable walk along the river, on the castle grounds, we checked out but will most CERTAINLY be back! Just back from a break in Kinnitty Castle. Overall the stay was lovely - beautiful hotel in very pretty surrounds. The building is magnificant and the rooms full of character. The forest walks are fantastic.There were however a few issues. We were staying with our 4 month old daughter and the room was extremely small. There was a lot of noise from the upstairs rooms which kept us awake. Also the room wasn't that clean (cobwebs, un-vacumed floor, limescale in kettle so we couldn't make tea in the room). The food in the bar wasn't great. However the staff were lovely, especially in the library bar - they went out of their way to accomodate us. interesting place,staff very friendly and helpful and the location was lovely. the room was cold on arrival due to the window being open(JAN 2013) and never completely warmed up.the bath water ran cool but the shower was good. Breakfast was excellent ,food and service. We had a lovely one year anniversary stay for two nights here. The staff were very welcoming and helpful. The food was delicious and the library bar was a fantastic spot to sit down in front of an open fire, have a pint, and read a book. Some extra cleaning would bump them up to 5 stars from me. There some dead flies littered around the windows and some cobwebs around the room. It was still a fantastic spot to stay and I would recommend it to anyone. We had a lovely time at Kinnitty Castle upgraded to the Butler Suite. The suite had a four poster bed and large bathroom with roll top bath. The castle is beautiful, staff are wonderful and the food is delicious. However, I was disappointed with a couple of things, the bed mattress in the Butler Suite is very uncomfortable and the bed creaks loudly at every slight movement so not the peaceful nights sleep i was looking forward to. The building in general could do with a deep clean, the windows in the Butler Suite are filthy. 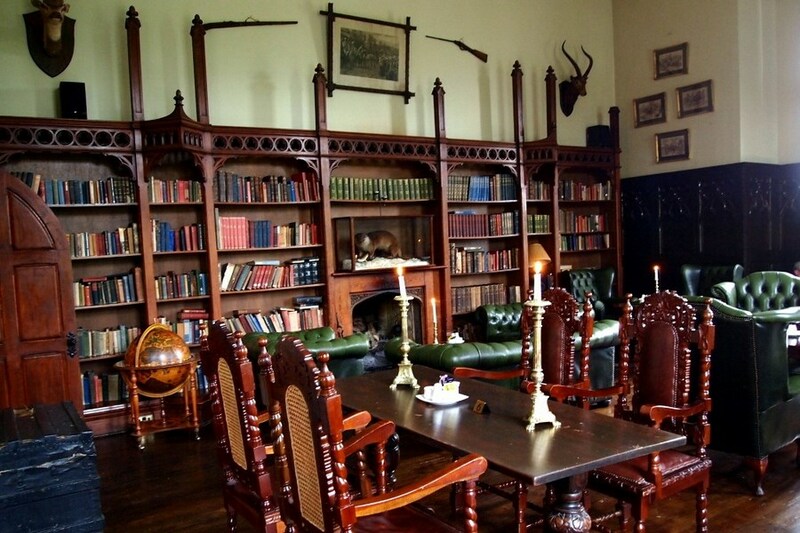 It also would have been nice to have the fires lit in the library bar and dining room as it was quite cold. We stayed 2 nights here and enjoyed it immensely. We had just come from 3 nights at the Electric Picnic and this was a perfect place to chill out and relax after that! The rooms are are fabulous with traditional furnishings. The staff could not be more helpful and the food was superb. There are so many fine walks in the vicinity It is a perfect place to relax and recharge the batteries. We are looking forward to our next visit already! Everything you could wish for. Four poster bed, huge bathroom with free standing bath, the air practically hums with gothic romance. Dinner was superb. The only complaint would be that the scrambled eggs at breakfast were microwaved...something I would not have expected in this otherwise excellent hotel. Staff friendly and helpful, room was fine and clean, breakfast was excellent. Will be back again for sure. Lovely staff and lovely peaceful surroundings - come here if you want to chill out away from the hustle and bustle. The food in the restaurant was great also. The accommodation could do with some TLC - parts of the hotel smelled strongly of must. But I would return. From start to finish this three night break was wonderful! Food excellent both restaurant and bar food. Our room was gorgeous, bathroom spotless and lovely white fluffy towels! We are into walking so this was a perfect base so some really lovely hikes. Staff were so pleasant. Kinnity Castle was the nightlight of our holiday and we hope to plan an Autumn or Winter break there too. A real treat! We stayed one night and were sorry to be leaving the next day-we will definitely be back. All the staff we met were attentive and welcoming without being intrusive and the castle itself is a real gem. Beautiful big old-style rooms and lots of corridors and staircases for exploring. The food in the restaurant is exceptional-one of the nicest meals I have ever eaten though I felt the wine list was limited.Perfect Bailey's coffees-almost impossible to get anywhere! If you're looking for a peaceful and restful place to stay this is it. The castle is in the middle of nowhere so there's no passing customers-everyone there is staying there which makes it more personal and private.It's not a place for large groups so if you're looking for a peaceful and restful break I would highly recommend a stay here. Booked this for my niece and sister as my niece was over from America and had never seen a real castle. They both came back with great reports and loved it, had a great time. They said the food was terrific and hotel bedroom was really nice, two giant four poster beds. Based on their reports and experience I would definitely recommend it! Had a great time in Kinnity Castle.The staff are great and totally committed to what they do. The food is delicious, you get a sense of adventure both within and outside the castle The walking trails and views from them are breathtaking Highly recommend kinnitty, exellent value for money. enjoyed stay in kinnity castle very verry much. everythinf excellent in every way. We had a wonderful short break in Kinnitty Castle June 2012. The whole atmosphere was fantastic, the rooms really good standard and the staff friendly and helpful. Our meal was first class and service bery good too, I would return again as it was great value and a really nice experience. We loved our recent stay in Kinnitty Castle. The staff were lovely and the food great. We were upgraded to a suite which was fantastic. The standard rooms are a bit small but the suites are fabulous. As it was mid week the Cellar Bar was not in use but it looked like a great place to have a party and the Courtyard with attached function hall would be perfect for a wedding. A real castle with a great atmosphere but with all the modern comforts. Would love to go back soon. Spent one night in one of the suites. Cannot praise the staff enough . Food is superb. If you are looking for modern comfort then this is not for you, if you are looking for atmosphere , good food , and excellent staff book away. Kinnitty Castle was absolutely amazing! The staff were v friendly, and even upgraded my parents room to a suite as I told them we were there to celebrate my dads 60th. We had lunch in the library bar and dinner in the restaurant and the food was AMAZING in both. The Dungeon bar was fab and was made even better by the music. We had the loveliest stay there and will definitely be back! Really enjoyed our stay. Dinner setting was top class, food lovely and rooms really excellent. Highly recommend. We will definitely be back. A truly wonderful hotel. We enjoyed every moment of our stay. Nothing to criticise. The room was beautiful, the food delicious and the staff warm and helpful. In fact the room was also lovely and warm which we weren't really expecting in such an old castle. We really felt like we were staying in a castle with abundant history and not just an ordinary hotel. Unfortunately we didn't have enough time to explore every nook and cranny. In the grounds behind the castle if you go for a walk there were some dilapidated buildings and the surrounds are not as manicured as other hotel grounds but that didn't in any way detract from our stay. Also plenty to visit in the surrounding areas. Would love to go back some day! Review by Lorraine. Stayed in Kinnitty Castle on Paddy's weekend. I really enjoyed my stay because I like old buildings. The room was fine and big, and I got to sleep in a four poster bed. The staff were very helpful, and the service was very good. I enjoyed the food, and the lovely walks surrounding the castle. The only downside to the trip was the dungeon bar, which I did not like. Yes I would definitely visit Kinnitty Castle again! Very enjoyable stay. Staff were very helpful and friendly, food in both bar and restaurant was really good and great value, we were very happy with our room, we stayed in the ballybritt room. Only complaint was you could here everything in the room above, even when they were talking you could hear word for word as if they were in our room with us. Other then that we loved it. Great atmosphere and a little spooky, we will diffinatly return for a relaxing over night stay again. Thoroughly enjoyed our stay in Kinnity Castle. Rooms were not quite what I expected. A bit small but still they were okay. The staff were very helpful and offered us an upgrade for our second night even without us asking, which we took obviously. The food was excellent both in the bar and the restaurant. Very relaxing place to stay with a couple of really nice walks around the castle. All in all a lovely break away. warm friendly welcome on a cold foggy day, room a big let down though, cramped and bed tiny, afraid to roll over in case I fell into the wee fireplace ! lovely big bath but couldn't regulate shower temp and sink grubby, friendly staff in the lounge but fireplace area let down by worn and tatty leather furniture, best thing was the food - amazing!! fabulous dinner and cooked breakfast.